Team C4 is a free, smartphone based Serious Game for job seekers that will help identify suitable candidates for the contact center industry. 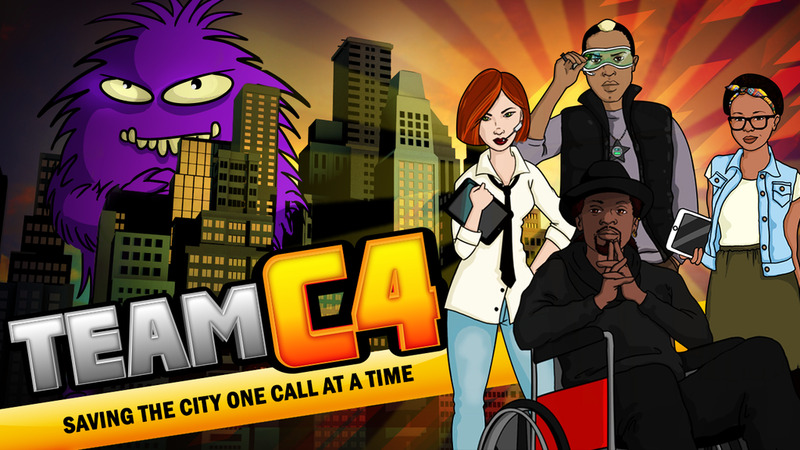 Developed in collaboration with Formula D Interactive, a creative team specializing in the production of Serious Games, Team C4 was unveiled on September 3 by BPESA (Business Process Enabling South Africa), a non-profit industry association for the BPO (Business Process Outsourcing) sector. With over 215,000 people employed, the contact center industry is one of South Africa’s major sources of employment and is one of the few industries accessible to a large percentage of RSA unemployed youth. The industry is creating over 5,000 new jobs every year to service the international BPO market and its biggest challenge is finding the right people to fill the available positions. Team C4 is expected to address this challenge and help the industry in sourcing talent. 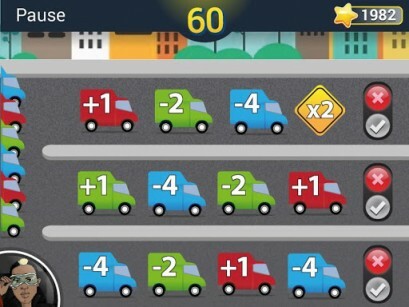 The game, which assesses core industry competencies, will look at the player’s numeracy, literacy, problem solving and language capabilities and will provide the industry with a targeted and cost effective recruitment tool. It will be piloted in the Western Cape and rolled out across the country later this year. 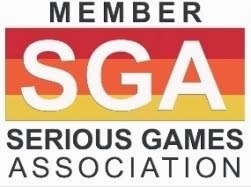 Planning for the game started in 2012, after BPESA and Formula D Interactive discussed the skills challenges facing the industry and hatched the idea of using Serious Games to reach the youth market. 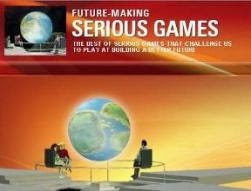 The game was then developed through investment from the Rockefeller Foundation. “In order to make the game a reality, we needed a funder who not only believed in the potential of the industry, but was also visionary enough to see this innovation tool that could attract unemployed youth. The Rockefeller Foundation saw the project as a perfect fit for their Digital Jobs Africa Initiative and decided to support us,” said Gareth Pritchard, CEO of BEPSA Western Cape. Grumpsters have invaded your city. They are small mischievous creatures that sabotage technology to cause havoc and drive citizens nuts. Luckily, there is Team C4, a special task team of customer care agents who fight back. In the game, you become part of Team C4 as you deal with a number of problems, which have been caused by the Grumpsters. To help citizens, you need to make the right decisions as quickly as possible. There are four missions and time is running out – only a good score will unlock the next levels. 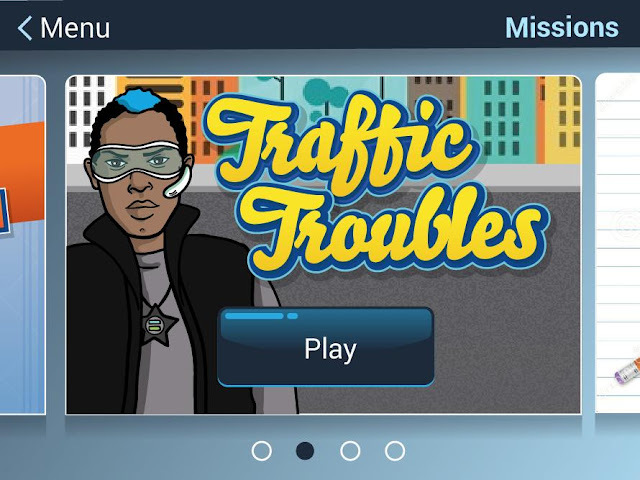 In this exciting adventure, players help to fix broken systems and manage complaining citizens. By joining the Team C4 you put skills to the test necessary to get a job in the call center industry and you also gradually compile a profile page, which acts as a CV. This information will be accessible to recruitment agents. When showing interest and the right potential, players may be contacted for job opportunities in their area. The game is available for download on www.teamc4.co.za and via Google Play – Team C4. BPESA is a non-profit industry association for the BPO (Business Process Outsourcing) sector in South Africa. The organization’s core focus areas are attracting foreign investment, driving job creation, developing skills and creating an enabling environment for companies and individuals operating in the sector. Formula D Interactive is headed by Interaction Designer Michael Wolf, who moved to Cape Town from Germany in 2003. After studying Design at Cologne International School of Design (KISD) and École Nationale Superieure de Création Industriélle [ENSCI], Paris, France, he joined MARS - Exploratory Media Lab at the Fraunhofer Institute of Technology, Germany’s equivalent of MIT in the U.S., to work on experimental human-computer interaction focusing on immersive media spaces and tangible interfaces for computer-enhanced learning. He is co-founder of Formlos design studio in Cologne, Germany, a design consultancy specializing in product design. Wolf has received several awards including the prestigious IF Design Award. In early 2007 he founded Formula D interactive, specializing in digital interactive learning environments. He is chairperson of the Cape Town Design Network. Michael is passionate about design and is a firm believer that Formula D Interactive is instrumental in reinventing education through the use of technology. For more than 100 years, The Rockefeller Foundation’s mission has been to promote the well-being of humanity throughout the world. Today, The Rockefeller Foundation pursues this mission through dual goals: advancing inclusive economies that expand opportunities for more broadly shared prosperity, and building resilience by helping people, communities and institutions prepare for, withstand, and emerge stronger from acute shocks and chronic stresses. To achieve these goals, The Rockefeller Foundation works at the intersection of four focus areas – advance health, revalue ecosystems, secure livelihoods, and transform cities – to address the root causes of emerging challenges and create systemic change. Together with partners and grantees, The Rockefeller Foundation strives to catalyze and scale transformative innovations, create unlikely partnerships that span sectors, and take risks others cannot – or will not.